Honeymoon in the Venice of the East - Bangkok-Koh Samui Bangkok, the capital of Thailand, with its fabulous temples and numerous canals, is also known as the 'Venice of the East'. An exotic blend of culture, modernity and religion, Bangkok is another exciting destination for honeymooners. For those honeymooning couples who want to explore their surroundings a bit, Bangkok has large green areas; the most famous green zone here is the Lumphini Park, where grand pageants are held. There are many other famous parks, besides its river districts. Ko Samui, or Samui, is the second largest island in Thailand with abundant natural beauty in the form of coral reefs, coconut trees lining its white sandy beaches. 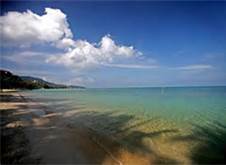 Isolated from the rest of Thailand till the 1970s', beautiful Samui opened up slowly to the world. It has a harmonious mix of cultures and travellers talk about its unhurried pace and charms, which is what most honeymooners look out for.